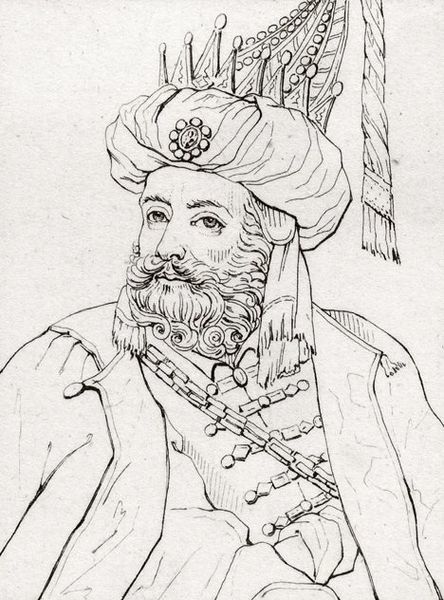 Aurangzeb was one of the famous mughal emperors. He expanded the Mughal Empire to its highest point. He took the title “Alamgir” (which means world seizer). He was born on 4 November 1618 in Dahod of Gujarat. His father was Emperor Shah Jahan and mother was Arjumand Bano Begam (also known as Mumtaz Mahal). From the childhood, he was interested in the Islam. He studied Quran with great interest. He was very courageous. One day when an elephant attacked him, He fought with the elephant very bravely and defeated it. This incident earned him a great respect among the family members and the people. His father rewarded him and appreciated him with the title “Bahadur” (brave). At first he was made the viceroy of Deccan. But when he came three weeks later after his sister’s death in a fire, Shah Jahan got angry and exiled him from the post of viceroy of Deccan. His relationship with his father got bitterer when he favored Dara Shikoh the elder brother of Aurangzeb as the emperor. Some years later Shah Jahan reappointed Aurangzeb as the Viceroy of Deccan. He became the emperor in 1658 after killing his three brothers and imprisoning his father. He built a strong army and started expanding his empire. He conquered Punjab, Bijapur and many other states. During his reign he banned singing, dancing and playing musical instrument in his empire. He was not open-minded and was not able to tolerate other religions like his father and grandfather. He destroyed many Hindu temples. Aurangzeb spends many of his years fighting against the rebellions. During his time Shivaji established the Maratha Empire. The people of Bharatpur stood against him and created Bharatpur state. The Sikhs rebelled against the emperor and fought many battles. He died on 20 February 1707. He was the last famous mughal emperor. After his death, Mughal empires declination started.